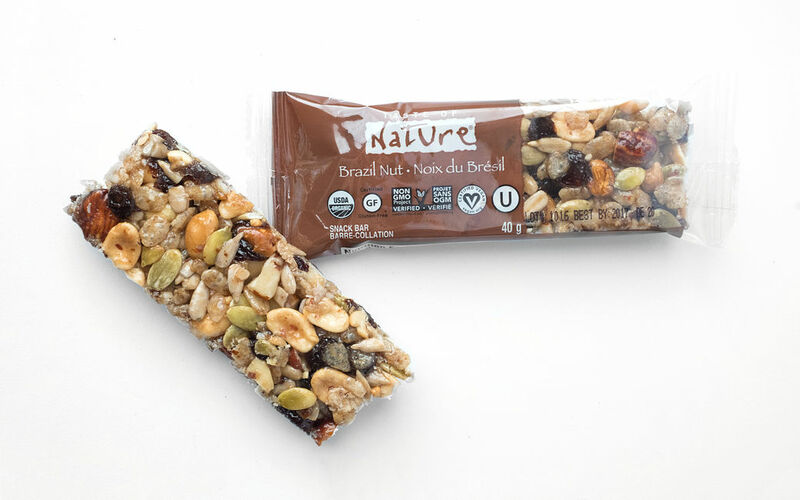 A Brazil-inspired, festive blend of certified organic nuts, seeds, fruit and crispy brown rice. Raisins* (raisins*, sunflower oil*), roasted peanuts*, sunflower seeds*, agave syrup*, brazil nuts*, brown rice syrup*, pumpkin seeds*, whole grain crisp brown rice*, cashews*, almonds*, sunflower oil blend* (sunflower oil*, antioxidants (mixed tocopherols, rosemary extract*)), pomegranate juice concentrate*, agar. *Organic.